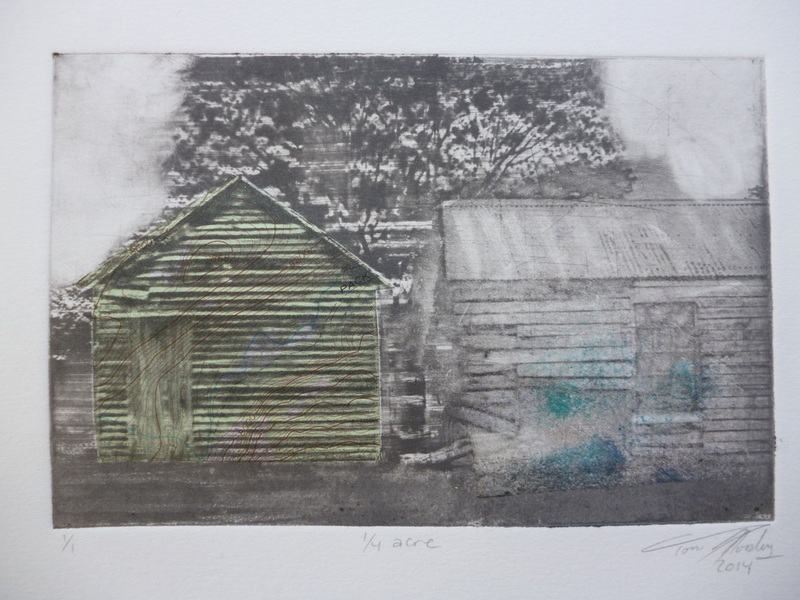 This print installation is a light look at the Kiwi dream of owning a quarter acre, besides these ¼ acres are the most affordable you can buy and own! I have chosen the display to mimic the way real estate agents present their properties in windows or even the paper. Each image is one of a kind and allows you to look at them the same way you might look at property features. Only these are based on colour and application not the number of rooms. 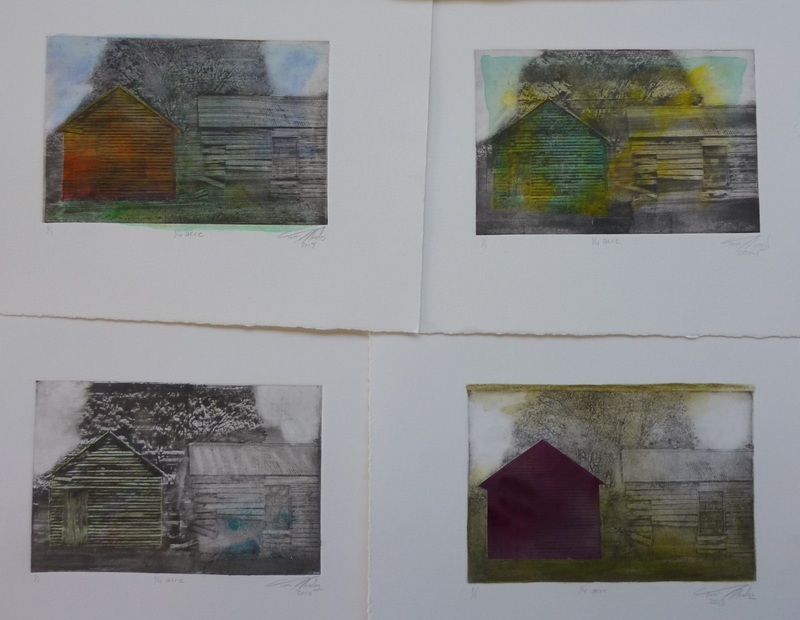 As a traditional printmaker I usually make small editions of prints. I really enjoyed creating this work using the Mono-print process within the constraints of making multiples over 100 from the same image. I hope you enjoy the properties and find some thing you like in each one.